Available From May 1-August 18th. 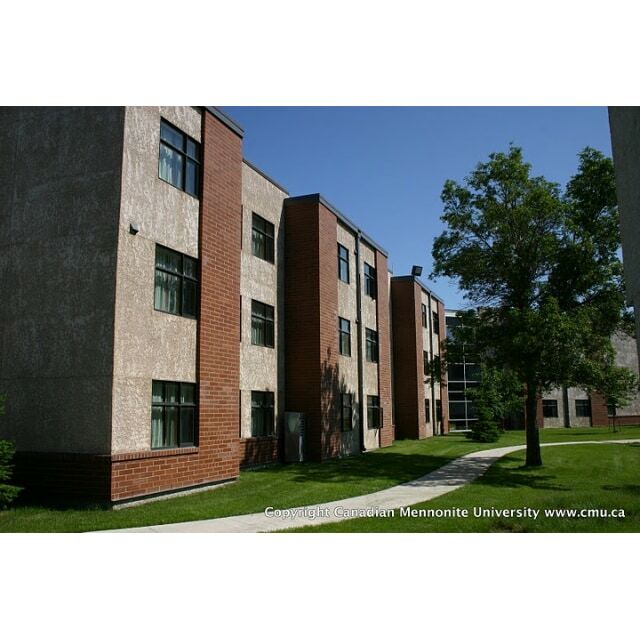 The Canadian Mennonite University has studio, 1 bedroom, 2 bedroom and 3 bedroom apartments available for rent starting May 1 until mid August 2019. Monthly and weekly rates available. They come furnished with beds, table/chairs and couch, shower curtain and appliances. Rent includes wifi, all utilities and furniture. Strict no smoking, alcohol or pets policy. Quiet, respectful, safe location next to the Assiniboine Forest. 1 bedroom apartments are fully accessible with elevator access as well as geothermal heat/cooling. Studio, some 1 bedroom, 2 and 3 bedroom are stairwell access with air conditioning units and brand new kitchens. Pricing varies from $718.40month for a studio to $1,370.90/month for a 3 bedroom.